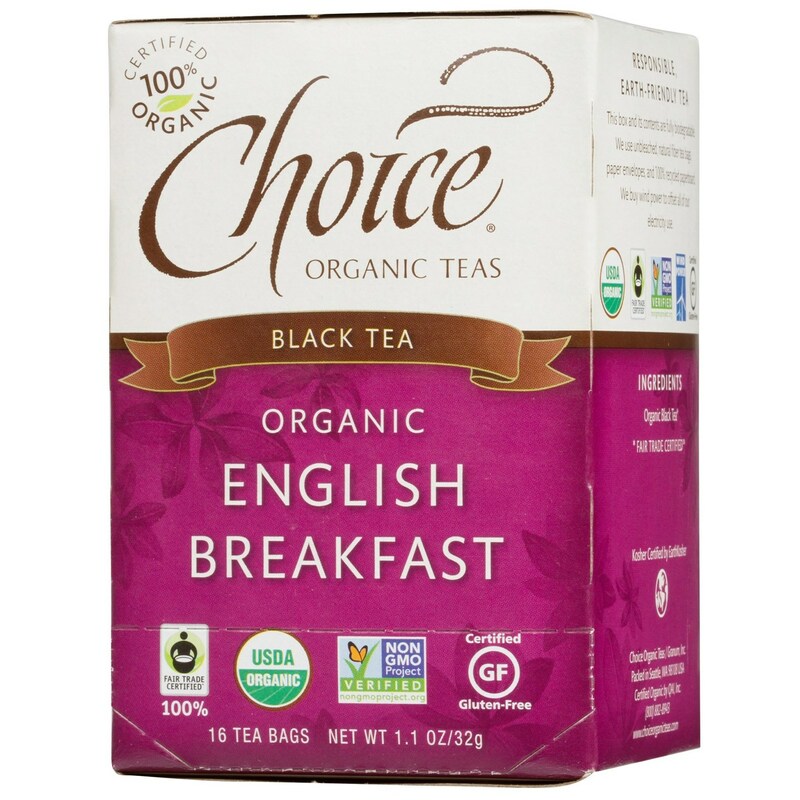 Choice Organic Teas Organic English Breakfast Black Tea is a single ingredient tea. 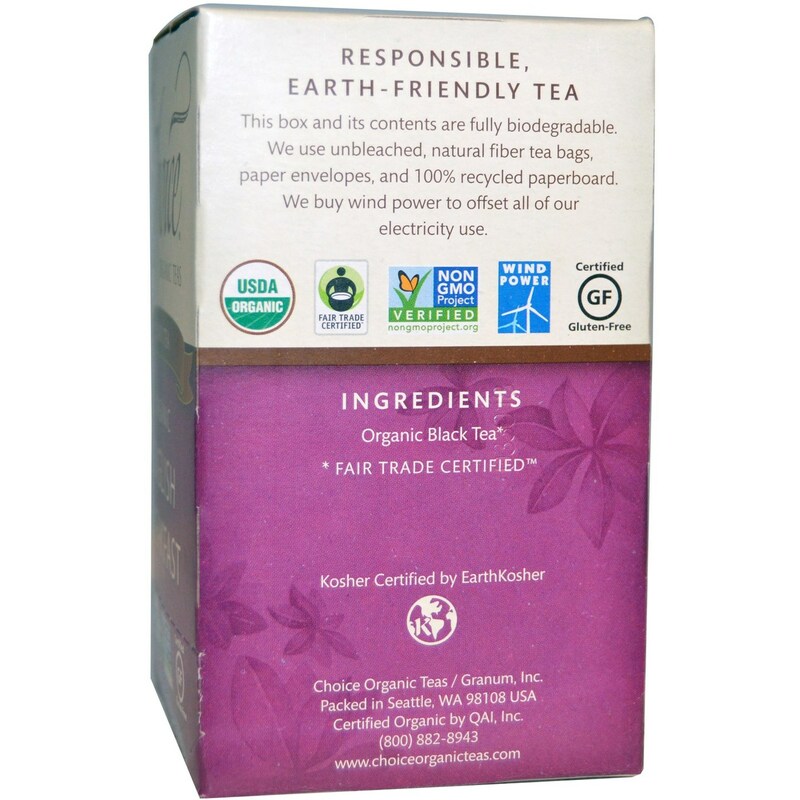 Notes: Certified 100% Organic. 100% Fair Trade Certified. Non-GMO. Kosher. Recommended Use: Boil fresh water, steep tea bag in 8 oz water for 405 minutes and enjoy. To brew iced tea just brew double strength. The customer reviews posted below are based on individual consumer experiences and may NOT necessarily represent what expected results will be from using or taking Choice Organic Teas Black Tea English Breakfast - 6 Boxes (16 Bags Each). These results may not be typical and you should not necessarily expect to receive the same results. Actual results may vary.